Every year the National Galleries of Scotland run a competition called Inspired? Get writing! for children and adults. 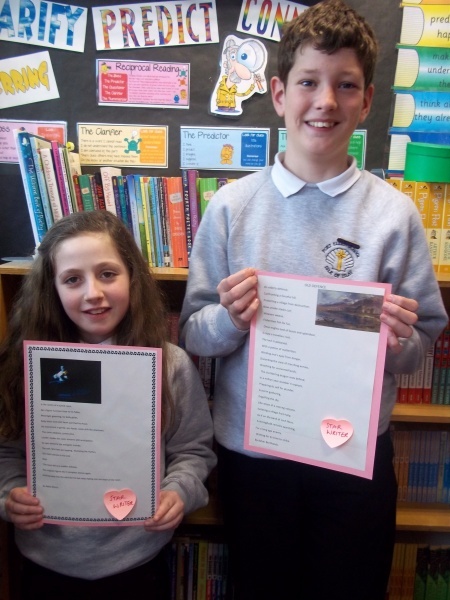 Port Ellen has 2 successful poems. Abbie was a runner up with her Poem The Ghost Fiddler, inspired by a photo of Aly Bain by David Williams. Asher achieved a special merit for his poem Old Defence, based on a painting of Inverlochy Castle by Horatio McCulloch. Both have been invited to hear their poems read aloud at an awards ceremony at the Scottish National Gallery in Edinburgh on the 17th April. His instrument in gentle, airy hands, notes drift like phantoms. As the room dances to his tune. Like his last notes fading into the heart of the room. Is now just a traveller’s rest. Isolating the village from help. Waiting for its time to strike. Scotland. 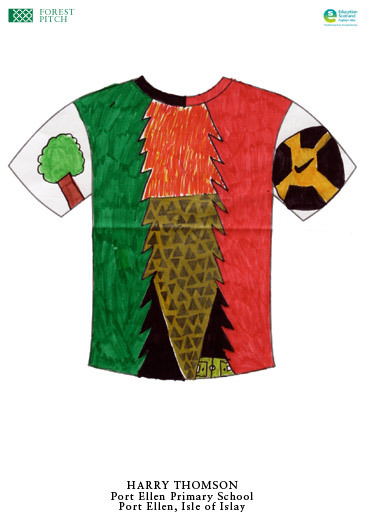 I made it into the last 30 out of 2000 kids.Forest pitch is a football event,that you have to design a football strip for a special game what will be played on a football pitch in the middle of a forest in 2012.4 people can win the event and whoever does win they will get their shirt worn by the players. I am well chuffed …… and so is my mum! My gran thinks that I might even win! I am going away on the Tuesday 7th February to see if I’ve won. Im going to Hampden park in Glasgow. 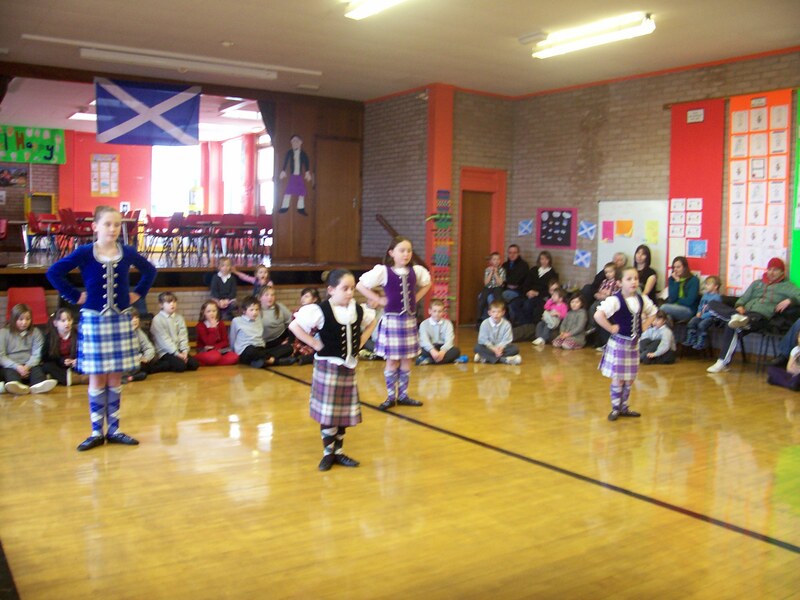 When I was 5 I started highland dancing and I am still dancing now. My mum and dad even my little sister Natalie supports me very well, even if I don’t win any they always say to me I did my very best and I will get one next time and I am a winner to them. Eilidh and Katie dance with me too and they are great dancers and they support me and we support them. In 2008 I had entered Cowal games and at the end I got my results and I won the runner up trophy, I was jumping for joy when I found out. In 2009 I entered the Dunoon competition and I won the national trophy and I was incredibly pleased with myself and my dancing teacher that helped me with my dancing. I have loads of different medals from 1st to 5th and a mini shield for my dancing exams.I hope this year I will be very successful and I hope Eilidh and Katie will too.